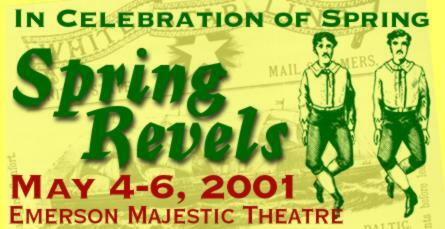 The Spring Revels made its annual return to Boston with four performances, May 4 - 6, 2001, at the historic Emerson Majestic Theatre in Boston's Theatre District. 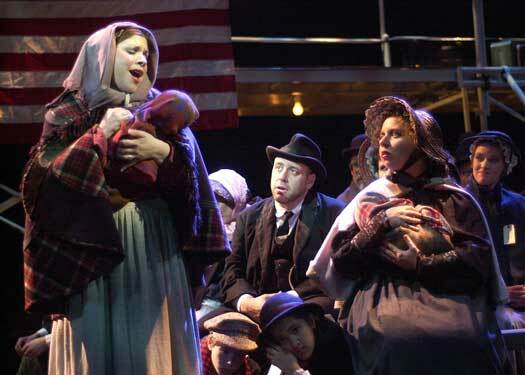 Directed by Patrick Swanson with music direction by George Emlen, the 2001 Spring Revels focussed on the great waves of immigration in the nineteenth and twentieth centuries from Europe to the United States, and particularly, to Boston. Immigration brought together people who knew little about each other's heritage and customs but who were determined to make a life side by side in the New World. We met some of these Italian, Irish and Eastern European Jewish families as they got to know each other, sing songs, tell tales, dance and celebrate both their differences and their shared experiences and ambitions. Spring Revels' many highlights included Irish stepdancing, a Purimshpil Mummers Play, Italian folk tales, audience participation and a meshugina Klezmer Band! Additional performers included The Revels chorus of adults and children and David Coffin, Revels' master of ceremonies. Founded in 1971 by musician John Langstaff and his daughter Carol, Revels, Inc., a non-profit, charitable organization, is best-known for its annual winter solstice celebration, The The Christmas Revels at Sanders Theater in Cambridge and for performances of traditional and ritual material marking spring, summer and fall. 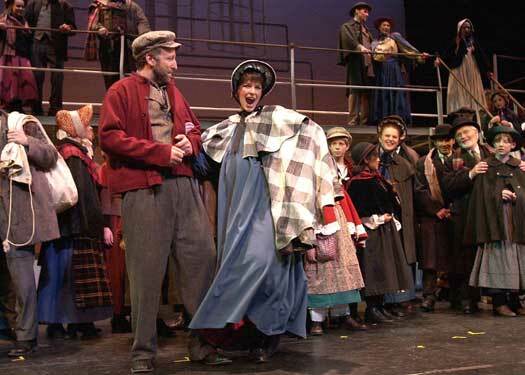 Currently, ten companies across the country annually produce Revels seasonal/theatrical performances. Revels, Inc. also produces a line of seasonal recordings and songbooks under the banner of Revels Records, established in 1978. For a free catalogue call 617-972-8300 x31.